Professional Man and Van's For House Removals in Essex area's Chelmsford, Billericay, Maldon, Burnham on Crouch, South Woodham Ferrers. Hire One of our luton removal van's and a working driver or a trusted friendly crb checked, Flexible man and van house movers and packers / affordable removals team. Fully trained removals men in Chelmsford. C.V.S Are an Excellent Self Drive Van Hire Alternative in Essex. 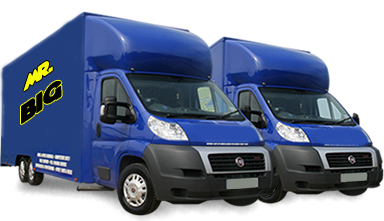 MR BIG man and van in Stock or Chelmsford has Vehicles of all sizes for hire. An efficient man and van roxwell removals Maldon team trained to the highest standards to handle your goods and possessions. Cheaper house removals in Chelmsford. Our aim is to satisfy our customers and to delight you with the cost of your Chelmsford Home or Office Move. Man & Van Great Baddow. Chelmsford is The capital of Essex and is the Largest and eldest City in the county. Chelmsford is the place where radio was first broadcasted in 1922. Although it was for a very brief period Chelmsford was actually declared the capital of England back in 1381. Hylands Park is home to the famous V music festival that takes place every august. In 2007 a T.V Programme had suggested that Chelmsford was the 8th Best Place to live in the United Kingdom. Now extending our service area due to high demand throughout Essex area's!! If you are looking for a quality and reliable, hardworking, stress free man and van in Ramsden Heath or Wickford we can help and do the same job as other traditional removal companies at just a fraction of the cost!!! Our removal van service is available in Billericay, Man and Van Maldon, Stock, Witham, Braintree, Ingatestone, All Essex area's. All of our removal van's are fully equipped with protective blankets to ensure the safe carriage of furniture. Move home with us From £65 Per Hour!! This include's 2 men and a Luton van. We can move homes and offices of any size!!! 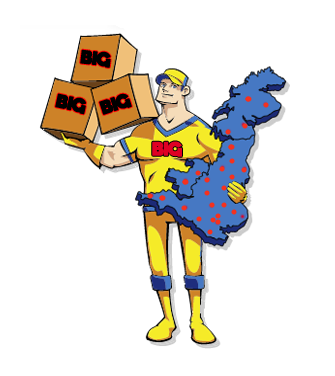 Whatever your Moving or House Removals Chelmsford needs we at Mr BiG Man and Van in Billericay or Chelmsford can assist!!! 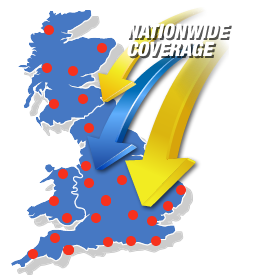 Local Moves, National Man and Van house removals, Cheaper removals to Europe including Spain, France and The Algarve, Portugal.